Create a more airy look this summer in your home! A few small changes can lighten up the feel of your space! 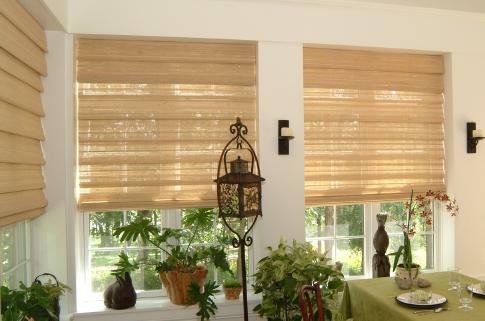 We carry beautiful woven wood and natural shades through Hunter Douglas and Horizon Shades. Fireworks, ice cream, barbeques with the neighbors. Ah, summer in July! The sun will eventually come out and then it will be hot! Now is a great time to give your home or vacation home a light, summery look. 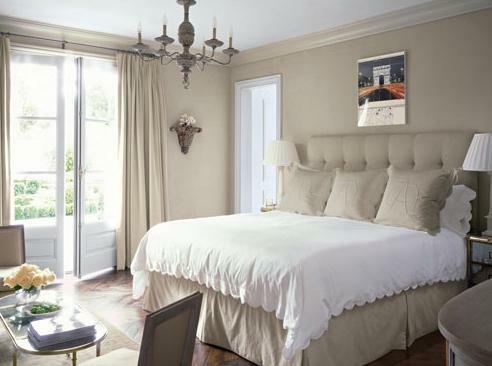 See how to transform your rooms with some easy tips in our main article. Have a safe and happy Fourth of July! We appreciate your readership! With the seasons, come changes. Sweaters and bulb planting in the fall; heavy coats in the winter; clean-up and light jackets in the spring and shorts and flip flops in the summer. Why not give your home a lighter look and change for the summer, as well? Some of us get bored and already change things around quite frequently. However, think about how to take the "heaviness" out of your living space. When the sun decides to come back out, it'll be hot! Give your home instant coolness by changing a few things. Don't Miss Out on the Hunter Douglas "Summer Window Fashions Sale!" Hunter Douglas and Horizon Shades carry a beautiful line of woven wood and natural fiber shades. They're a great way to tackle privacy issues, light control and have a decorative treatment on your window, all in one! Bring a little of nature inside with these eco-friendly products. Check out the websites at www.hunterdouglas.com and www.horizonshades.com. Extra 15% Off on Woven Wood Shades! Take an extra 15% off your purchase of any Woven Wood and Nature's Shades! Enjoy the natural beauty of these shades for any room of the house! No minimum quantities and there is no charge for the consultation. We'll bring samples right to your home! Call 508-277-3846 for an appointment!